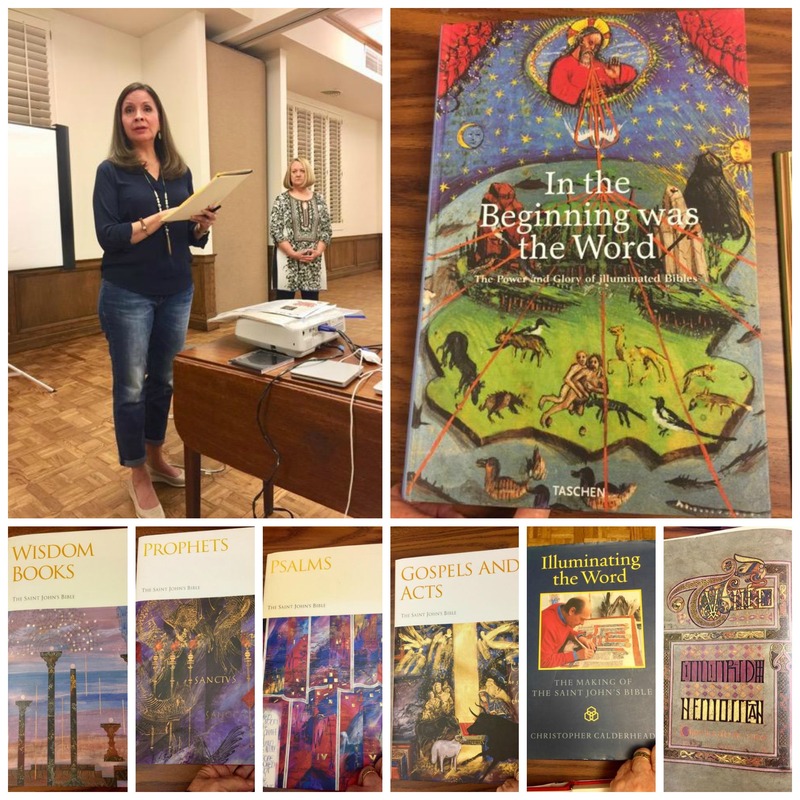 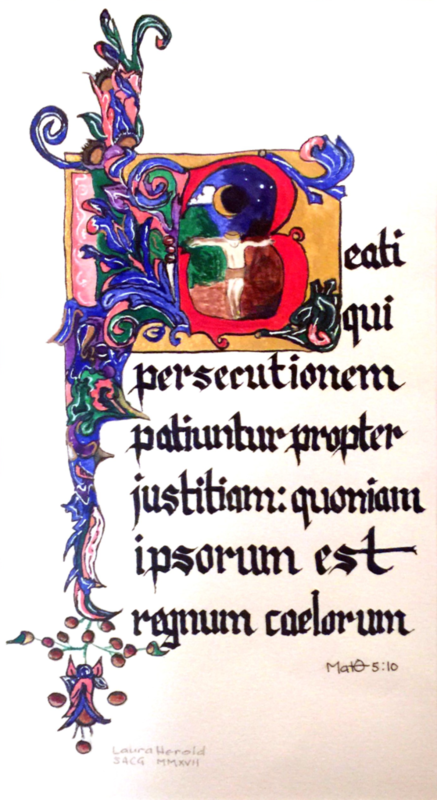 For January’s Meeting, there was a Volume of the Saint John’s Bible on display. Monica Brooks explained the guild’s participation in the Pony Express program at the Briscoe Western Museum. President, Suzan O’Connor lead the business meeting, before the viewing of “The Illuminator”, a fascinating movie about the making of the Saint John’s Bible. Below are images of some of the books that were on display before the movie. 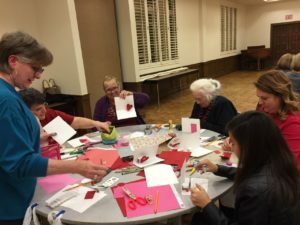 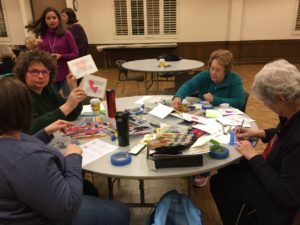 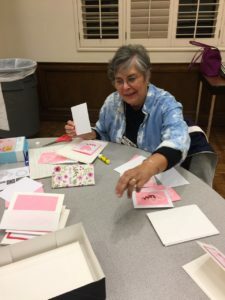 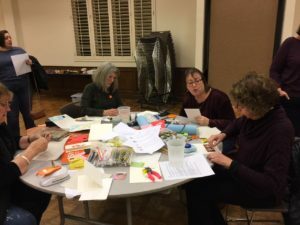 This January, Guild members participated in creating some amazing Valentines Day Cards to donate to the Women’s Shelter. 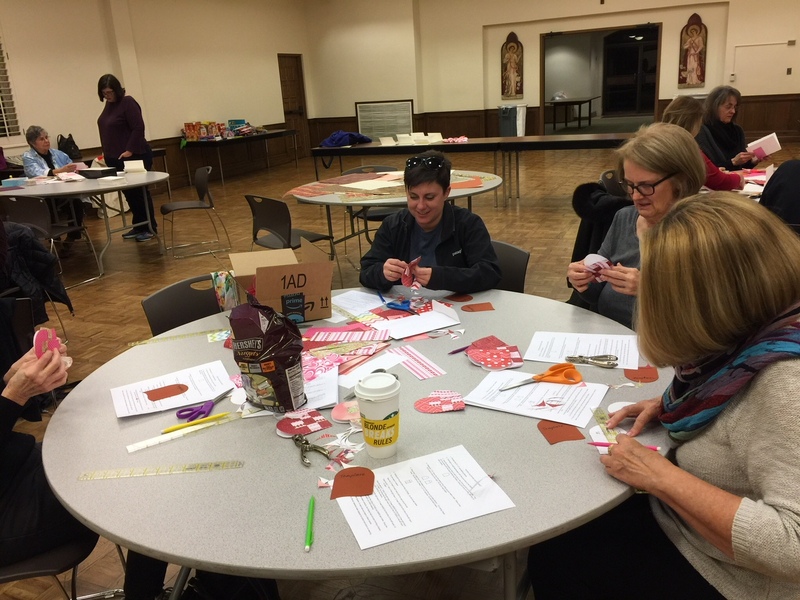 Here are some images of members having fun with their creations!